See our picks for the 10 best general-interest credit cards, plus the best cards for specific needs. People regularly ask us: What’s the best credit card? The answer depends almost entirely on the person asking the question. What kind of credit do you have? How do you spend money? Are you looking to rack up rewards, or save money on interest? Most cards fall into a handful of broad categories, and within those categories, we’ve chosen our 10 best credit card offers for 2019. We’ve supplemented those picks with our selections for the best cards for specific needs. NOTE: The Wells Fargo Propel American Express® Card is not currently available on NerdWallet, so the offer described on this page may be out of date. The Best-Of Awards are back. See the best credit cards, banks, lenders and more. The Barclaycard Arrival Plus® World Elite Mastercard® has long run neck-and-neck in this category with the better-known Capital One® Venture® Rewards Credit Card. Both cards give you an unlimited 2 miles per dollar on purchases, and both let you redeem miles for statement credit against travel purchases. The Barclays card gets the nod this year with a bigger standard sign-up bonus (although both cards rolled out even richer limited-time offers toward the end of 2018) and a redemption bonus that gives you back 5% of your miles whenever you redeem, boosting the effective rewards rate to 2.1%. The card also offers chip-and-PIN functionality, making it more useful overseas, where self-serve kiosks require a PIN with a credit card. 2 miles per dollar spent; plus, through January 2020, 10 miles per dollar at Hotels.com/venture. Annual fee waived the first year. Bonus rewards at U.S. supermarkets and U.S. restaurants and on eligible flights. Up to $120 a year in credit for eligible dining expenses. $100 annual credit for incidental airline fees. Years ago, NerdWallet described the Chase Sapphire Preferred® Card as a must-have for any traveler, and we stand by that assessment. It earns 2 Chase Ultimate Rewards® points per dollar spent on travel and dining and 1 point per dollar on all other spending. Points are worth 1.25 cents apiece when redeemed for travel through Chase’s portal — or, for possibly even greater value, you can transfer them on a 1:1 basis to an array of airline and hotel loyalty programs, including United, Southwest, JetBlue, Marriott and Hyatt. You also start with one of the best sign-up bonuses available on a card for its price: Earn 60,000 bonus points after you spend $4,000 on purchases in the first 3 months from account opening. That's $750 toward travel when you redeem through Chase Ultimate Rewards®. With a complete overhaul in 2018, the Wells Fargo Propel American Express® Card catapulted from meh status to a spot darn near the top of the heap in travel cards. It earns 3X points in a broad array of travel and everyday spending categories, including restaurants and takeout meals, flights and hotels, and gas stations, transit and rideshares. The sign-up bonus is outstanding for a card without an annual fee, and you even get a good 0% introductory APR period. You can easily get more value from this card than from many cards with annual fees of $95 or more. Simple rewards: 1.5 points per dollar spent. Points redeemable for statement credit against travel purchases. 10% rewards bonus for Bank of America® banking customers (and up to 75% for those enrolled in Preferred Rewards). Unlimited 3% cash back on all purchases the first year and 2.5% after that. The Citi® Double Cash Card – 18 month BT offer doesn’t come with a lot of bells and whistles — no big sign-up bonus, no 0% APR period on purchases, no bonus categories. It doesn’t need them, because its fantastic ongoing rewards rate delivers great value day in and day out. You get an unlimited 2% cash back on every purchase: 1% when you buy something and 1% when you pay it off. The annual fee is nice, too: $0. The catch? It’s a small one: There’s a minimum redemption amount of $25. Upfront sign-up bonus: Earn a $150 Bonus after you spend $500 on purchases in your first 3 months from account opening. Slightly longer 0% intro APR period. Similar rewards structure but different slate of bonus categories. Amex EveryDay® Credit Card is available by applying directly through American Express. $0 balance transfer fee. Balance transfers must be requested within 60 days of account opening. 0% on Purchases and Balance Transfers for 15 months, and then the ongoing APR of 15.24% - 26.24% Variable APR. Information about Amex EveryDay® Credit Card was collected by NerdWallet and has not been reviewed or provided by the issuer of this card. No late fees or penalty APRs. Over the past few years, several major issuers have experimented with balance transfer credit cards that offer some version of the “three zeroes”: a $0 annual fee, a $0 balance transfer fee and a 0% introductory APR for balance transfers. A card with the three zeroes allows you to transfer and then pay down high-interest debt without paying a penny in interest or fees. Amex EveryDay® Credit Card not only has the zeroes, but it also offers a rewards program and a bonus offer for new cardholders. So unlike a lot of balance transfer cards, it gives you a reason to keep using it even after the promotional 0% APR period is up. If you need time to pay off a major expense, a card with a 0% introductory interest rate can save you big money. It’s also safer than those “no interest for 12 months”-type offers from retailers, which can be costly if you’re not careful. When we first chose the U.S. Bank Visa® Platinum Card, it offered one of the longest available 0% periods for purchases at 20 billing cycles. They cut back that back to 18 billing cycles for a while. But as of April 2019, the offer is 0% on Purchases and Balance Transfers for 20 billing cycles, and then the ongoing APR of 14.74% - 25.74% Variable APR. Compare that with many cards designed specifically for balance transfers, which offer a shorter 0% period for purchases than for transfers, or don’t have a 0% window for purchases at all. Paying late won’t automatically void your 0% introductory APR, which can happen with other 0% cards. You’ll still be subject to a late fee, however. Introductory APR of 0% on Purchases and Balance Transfers for 18 billing cycles, and then the ongoing APR of 15.24% - 25.24% Variable APR. Access to more than 1,200 airport lounges worldwide, including the issuer’s own Centurion and International American Express lounges, as well as Delta Sky Clubs (when flying Delta) and lounges in the Priority Pass Select, Airspace and Escape networks. 5X points on qualifying flights and hotel stays. Hundreds of dollars a year in credits for airline fees, Uber rides and more. The Chase Sapphire Reserve® provides so much value that regular travelers may find its $450 annual fee is a bargain. You get $300 a year in automatic credit for travel expenses, which reduces the cost of carrying the card by two-thirds. Beyond that, you earn 3 Chase Ultimate Rewards® points per dollar spent on travel and dining and 1 point per dollar on all other spending. Points are worth 1.5 cents apiece when redeemed for travel through Chase’s portal, or you can transfer them on a 1:1 basis to about a dozen airline and hotel loyalty programs. There’s also a tremendous sign-up bonus, reimbursement for the application fee for TSA Precheck or Global Entry, and airport lounge access through Priority Pass Select. The Capital One® QuicksilverOne® Cash Rewards Credit Card pays an unlimited 1.5% cash back on all purchases. Not only is that a generous rewards rate for a card for average credit, it’s the same rate offered by multiple cards that target people with good or excellent credit (including the issuer’s own Capital One® Quicksilver® Cash Rewards Credit Card). However, this card doesn’t offer a sign-up bonus or a 0% intro APR period, and it comes with a high ongoing APR and an annual fee of $39. Even so, it offers a rare opportunity to earn excellent rewards while you work to build your credit. Further helping in that effort: Make your first five payments on time, and Capital One may give you access to a higher credit line. Make your first five monthly payments on time, and you may gain access to a higher credit line. Depending on your creditworthiness, you may qualify for a $200 credit line with a deposit of only $49 or $99. Make your first five monthly payments on time, and you may gain access to a higher credit line without depositing more money. Deposit can be paid in installments, making it easier to manage for those living paycheck to paycheck. The Discover it® Secured has a $0 annual fee, but like other secured cards, it requires you to put down a security deposit equal to your credit line, which the issuer holds as collateral in case you don’t pay your bill. Unlike other secured cards, though, it offers a rewards program — and a pretty good one, too. You earn 2% cash back at gas stations and restaurants on up to $1,000 in combined purchases every quarter. All other purchases earn an unlimited 1% cash back. Perhaps more important, this card offers a clear path to an upgrade. After eight months, Discover automatically begins reviewing your account to see whether you can move up to a regular unsecured card (and get your deposit back). The Capital One® Spark® Cash for Business earns unlimited 2% cash back on all purchases. That makes it a standout choice for entrepreneurs whose spending doesn’t fall neatly into the bonus categories offered by many business credit cards, such as office supplies or travel. The card does have an annual fee — $0 for the first year, then $95 — but keep in mind that it’s a deductible business expense. And if you’re putting tens of thousands of dollars a year on your card for operating expenses and inventory, the fee is minuscule in comparison to the rewards you’ll rack up. This card also has a great bonus offer: Earn a one-time $500 cash bonus once you spend $4,500 on purchases within 3 months from account opening. Bonus categories that earn 5% and 3% cash back (subject to spending limits), and you get to choose your own 3% category. An introductory 0% APR period on purchases. Unlimited 2 miles per dollar spent on all purchases. Miles can be redeemed for statement credit against any travel expense at a value of 1 cent apiece. Annual fee of $0 for the first year, then $95. Let’s get this out of the way: The Business Platinum® Card from American Express is not cheap. It comes with an annual fee of $595. But it comes with an extensive portfolio of benefits that make it well worth the investment for entrepreneurs who are always on the road. The card earns 5X points on flights and prepaid hotels on amextravel.com. When you redeem points for eligible travel, you can get 35% of those points back as a bonus. You have access to more than 1,200 airport lounges worldwide. There’s a $200 annual credit for incidental airline fees, plus reimbursement for the application fee for TSA Precheck or Global Entry. You get automatic elite status with Marriott and Hilton hotels. Terms apply. And that’s not even mentioning the sizable bonus offer for new cardholders. Keep in mind that the annual fee is a deductible business expense, too. The Deserve® Edu Mastercard for Students can help college students get past some of the obstacles that prevent young people from qualifying for a credit card. If you don’t have a credit history, Deserve can evaluate your application using its own underwriting algorithm that takes into account such factors as your school, major and likelihood of graduating (and getting a job afterward); your bank account balances and other assets; and even your contact information. For international students, Deserve allows you to apply without a Social Security number (although you’ll need a student visa, passport ID and school documents such as an I-20 form or DS 2019). Once approved, you’ll earn 1% cash back on all purchases. Same rewards program as Discover’s regular cash-back cards: 5% cash back in rotating categories that you activate (on up to $1,500 per quarter in spending) and 1% on all other purchases. $20 statement credit each school year your GPA is 3.0 or higher, for up to five years. New cardholder bonus and a 0% APR period on purchases. » Keep in mind, however, that simply being a college student is not enough to qualify for a student credit card like the Discover it® Student Cash Back. Approval depends on your creditworthiness and ability to pay for your charges. Learn more about student credit cards. As a national carrier, United has much wider reach. Two one-time passes to United Club airport lounges each year. » Don’t fly Alaska or United? See other options. We admit that the Alaska Airlines Visa Signature® credit card is not going to be a feasible option for everyone. Seattle-based Alaska Airlines’ operations are concentrated mostly on the West Coast, and even after its acquisition of Virgin America, it doesn’t serve every state. Still, its credit card is a best-in-class product that deserves recognition — especially if it prods the bigger carriers to consider adopting some of its features. It comes with an annual Companion Fare deal that allows you to bring someone with you on a flight for as little as $99 plus taxes and fees. The savings from that perk alone can pay the $75 annual fee, but you also get a free checked bag benefit, 3X miles on airline purchases and a solid sign-up bonus. Read more about why we chose it. We chose Marriott’s consumer card as our winner back when it was still known as the Marriott Rewards® Premier Plus Credit Card. In February 2019, the hotel chain introduced a new suite of credit cards under the name Marriott Bonvoy. The Marriott Rewards® Premier Plus Credit Card became the Marriott Bonvoy Boundless™ Credit Card. This card lets you earn and redeem rewards at thousands of hotels worldwide in a portfolio of around 30 brands, from budget lodging to high-end resorts. Earn 6X points at participating hotels and 2X points everywhere else; enjoy a free night every year; receive automatic Silver elite status (and a boost toward Gold); and get the ball rolling with a great sign-up bonus. 2 miles per dollar spent, and 10 miles per dollar at Hotels.com/venture. Redeem miles for statement credit against any travel purchase, with no minimum redemption amount. The Amazon Prime Rewards Visa Signature Card is available by applying directly through Amazon. 5% back at Amazon.com and Whole Foods Market. Information about the Amazon Prime Rewards Visa Signature Card and the Amazon Rewards Visa Signature Card was collected by NerdWallet and has not been reviewed or provided by the issuer of these cards. Each card earns 5% cash back on quarterly categories that you activate (on up to $1,500 per quarter in spending), and 1% back on all other purchases. Bonus categories in recent years have included common merchants such as gas stations, restaurants and grocery stores. Each card has a sign-up bonus and a 0% APR period. No annual fee (or required membership fee) on either card. The best gas credit cards usually aren’t those with a gas station or oil company brand on them. They’re general-purpose cards that give you bonus rewards for gas purchases. That’s because they earn rewards regardless of where you buy gas, and they earn rewards based on how much you spend rather than how many gallons you buy. As the price of gas goes up, so do your rewards, unlike with gas station cards that give you a flat discount of, say, 5 cents per gallon. The Wells Fargo Propel American Express® Card gives you an unlimited 3 points per dollar spent on gas. Points are worth 1 cent apiece. (Try our calculator below to see how that translates into savings.) With an annual fee of $0 and 3X rewards in an array of categories in addition to gas, it’s a gas card that’s also an outstanding everyday card. No points, just straight cash back: 3% on a category of your choice (which can be gas) and 2% at grocery stores and wholesale clubs, for the first $2,500 in combined grocery/wholesale club/chosen-category purchases each quarter; 1% on all other purchases. Choose your own 3% category: gas, dining, travel, online shopping, drugstores, or furniture/home inprovement stores. Solid sign-up bonus, decent 0% intro APR period, and a $0 annual fee. Bank of America® Preferred Rewards customers can earn rewards bonuses of up to 75%. It’s generally a better deal than the annual-fee version if you spend less than $60 a week at the supermarket. 3% cash back at U.S. supermarkets, 2% at U.S. gas stations and select U.S. department stores, and 1% everywhere else (terms apply). For families that spend a lot on groceries and gas, the Blue Cash Preferred® Card from American Express is a must-have. It pays an industry-leading 6% — six percent! — at U.S. supermarkets (on up to $6,000 a year in spending, then 1%), plus 3% at U.S. gas stations and select U.S. department stores, and 1% on everything else (terms apply). Unlike most cash-back cards, it comes with an annual fee: $95. But you’ll make up for it with just $31 a week in supermarket spending. Everything above that is just rich, satisfying gravy. Throw in a nice bonus offer for new cardholders and a not-bad 0% intro APR period, and you’ve got a workhorse card for a busy household. The no-annual-fee version of Capital One’s relatively new dining and entertainment card is actually better than the standard version for most people. The Capital One® SavorOne℠ Cash Rewards Credit Card pays an unlimited 3% cash back on dining and entertainment, 2% at grocery stores and 1% everywhere else. What’s especially nice is that unlike many cards that focus on dining rewards, your rewards come as cash rather than points that you have to figure out how to redeem (“I guess I could use a $25 Staples gift card …”). There’s a solid sign-up bonus and a great 0% intro APR, too. Although it has an annual fee of $0 for the first year, then $95, if you spend more than $9,500 a year on dining and entertainment, you’ll come out ahead on this card, compared with the no-fee version. Unlimited 4% cash back on dining and entertainment, 2% at grocery stores, and 1% everywhere else. Big-time sign-up bonus: Earn a one-time $500 cash bonus after you spend $3000 on purchases within the first 3 months from account opening. 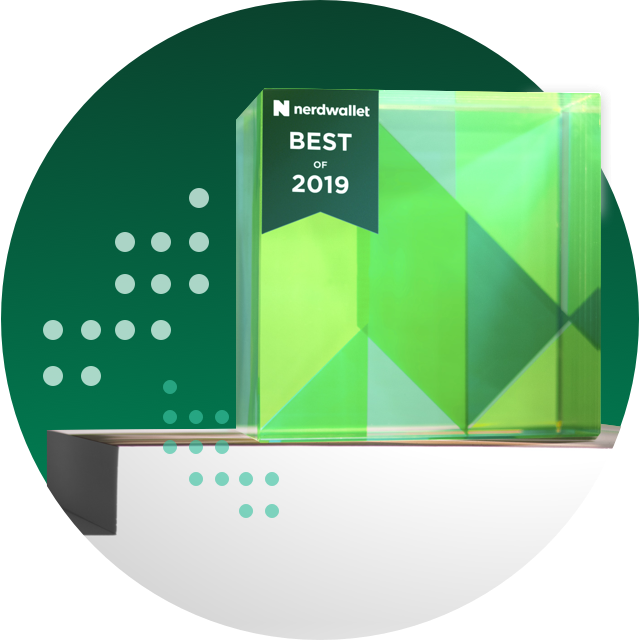 NerdWallet’s credit cards team selects the best cards in each category based on overall consumer value. Factors in our evaluation include fees, promotional and ongoing APRs, and sign-up bonuses; for rewards cards, we consider earning and redemption rates, redemption options and redemption difficulty. A single card is eligible to be chosen in multiple categories.